Looking for a spinach dip recipe without artichokes? Me too! This spinach dip is so creamy and delicious and has the perfect amount of spices from the Knorr vegetable dip that its really an appetizer dip that cannot go wrong. And while you could put this spinach dip on the crock pot, its literally minutes to create, making it one of the easiest recipe items to serve up at a party. 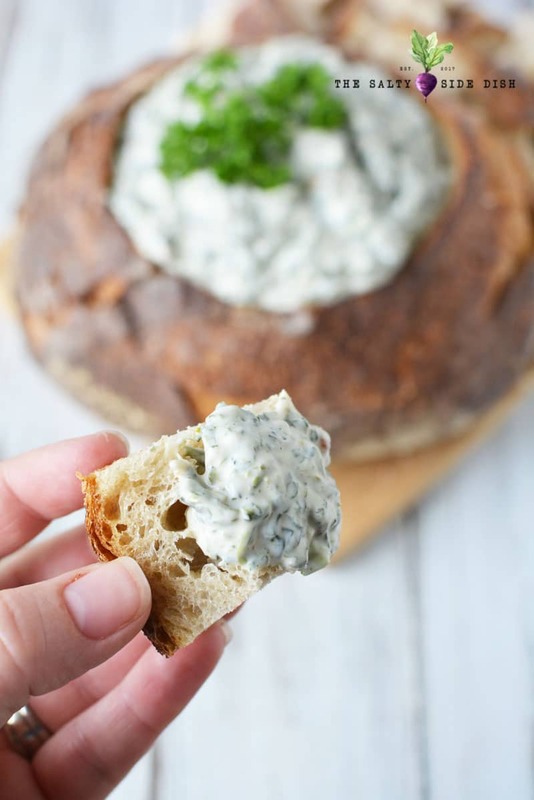 This is my favorite spinach dip recipe! It skips water chestnuts and doesn’t have any artichokes, so its a true delicious spinach dip recipe that everyone will want seconds of. If you want another amazing dip, make sure you try my viral Enchilada Dip Recipe as well! I also use the Knorr Vegetable Recipe Mix (Dry Soup Mix, 1.4oz) and pick out the peas before I toss all those lovely spices in. Why do I pull out the peas? I think it’s because the peas remain hard if you put them in the dip and it’s weird to bite into. Every other dehydrated veggie seems to soften just fine. Can you make Knorr Spinach Dip ahead of time? Yes!! This easy spinach dip recipe should be made ahead at least 6 hours prior but better yet overnight. This gives the granulated soup time to soften and dissolve into the spinach dip. Even better, this cold dip doesn’t take long to make; just 5-10 minute mix up. The longest part of the recipe is defrosting the frozen spinach. You can thaw your spinach in the fridge but make sure you place in a bowl because the box always leaks. Remove the outer paper-like wrapper and discard, and carefully squeeze the box over the sink to drain/remove the water. Serve with Melba toast, crackers, bread sticks, or even carrots and celery. If it scoops, it works! 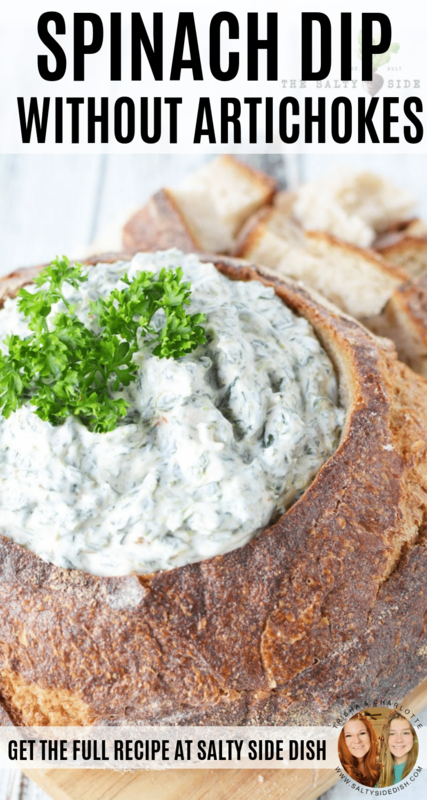 Move over crock pot and slow cooker, all you need is 10 minutes to whip up an easy spinach dip recipe that everyone will love. 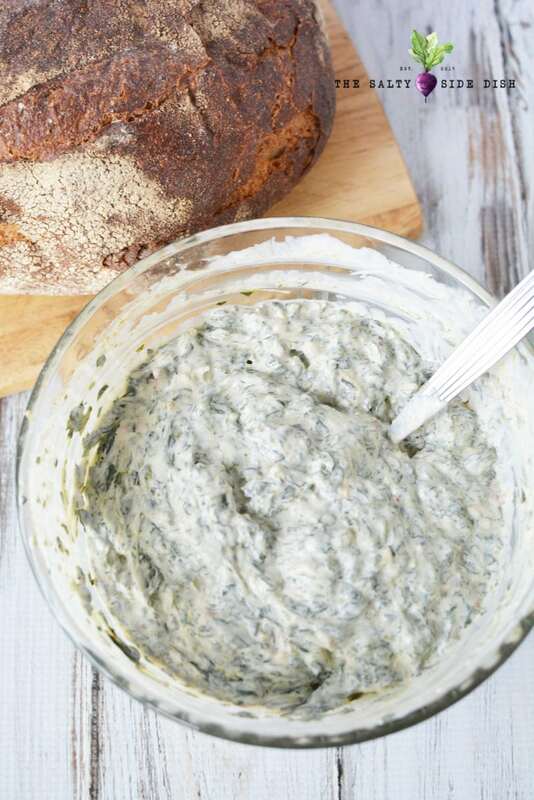 With the bold flavors of spinach tamed down by perfect seasoning and creamy mayo, you will be shocked how easy this no artichoke dip is to make. 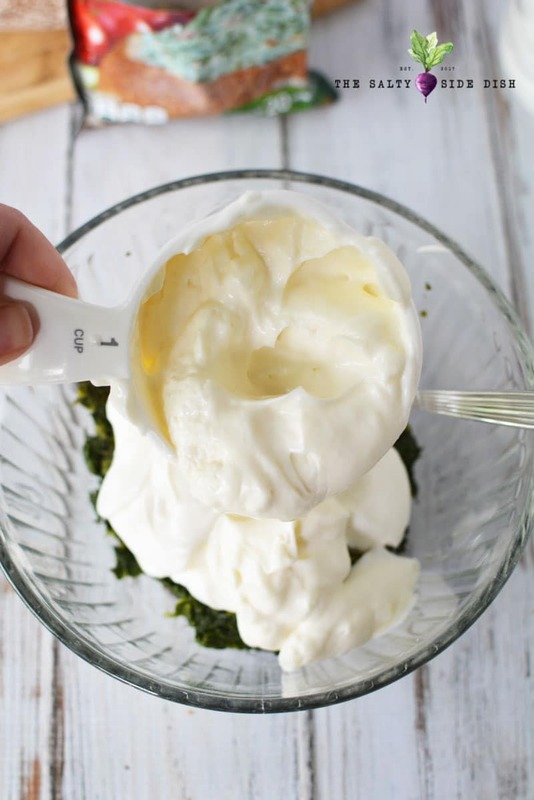 Place spinach, mayonnaise, sour cream and vegetable soup mix into a mixing bowl. Mix well to incorporate all ingredients. Refrigerate for at least 6 ours, preferably overnight. Mix spinach dip well before serving to your eager crowd. 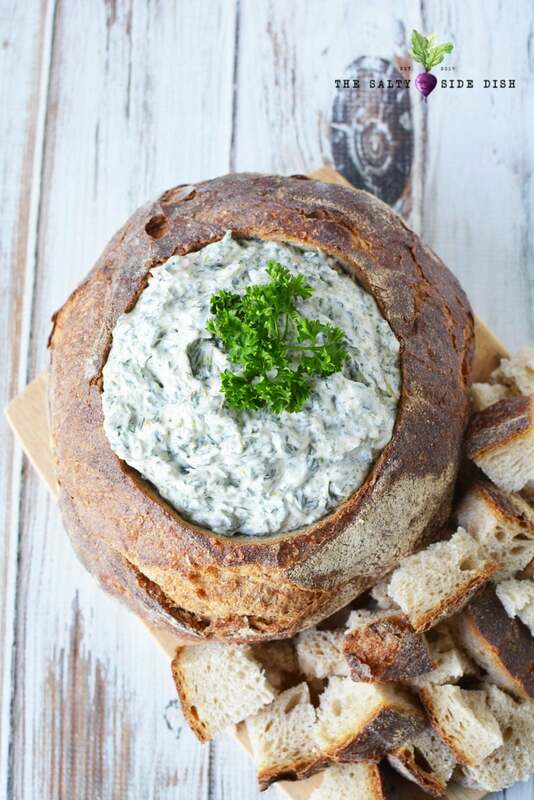 In my opinion, spinach dip should just be served in a bread bowl. 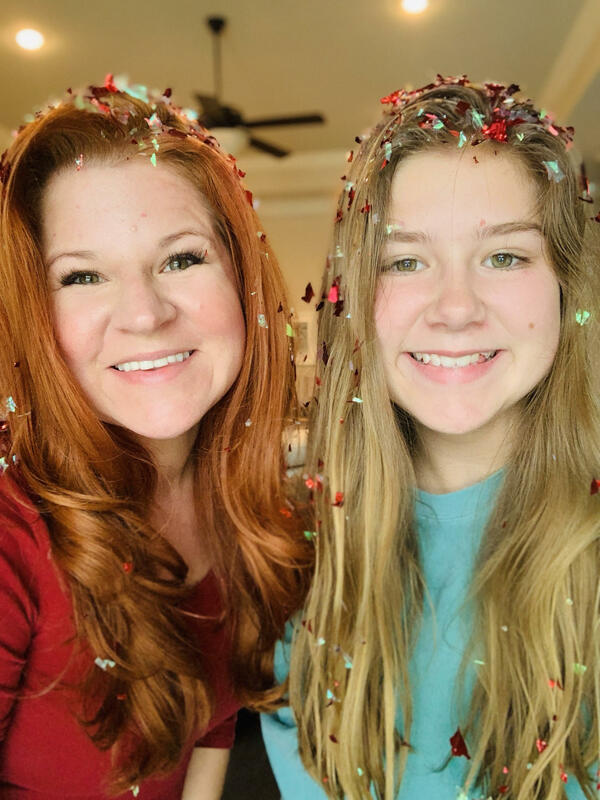 It’s…well…the way it is! Plus one less dish to clean up. 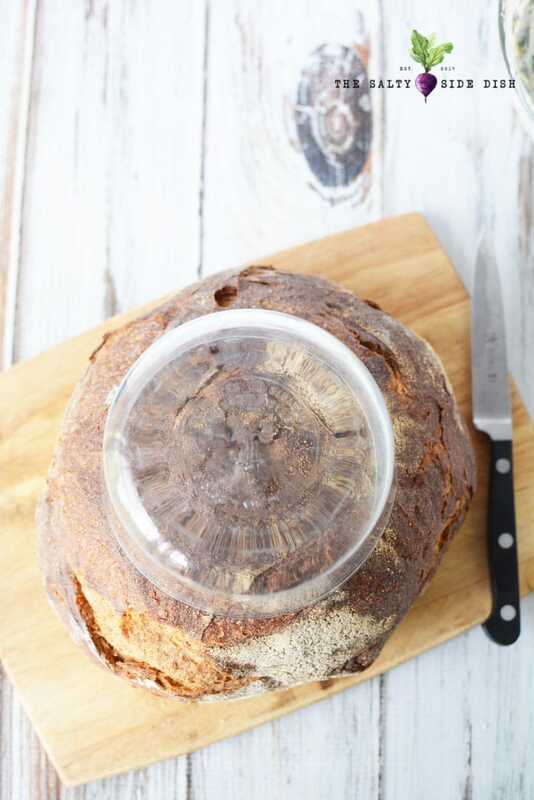 To get started on making a bread bowl for you dip, use a small glass bowl and place it on top of your bread. 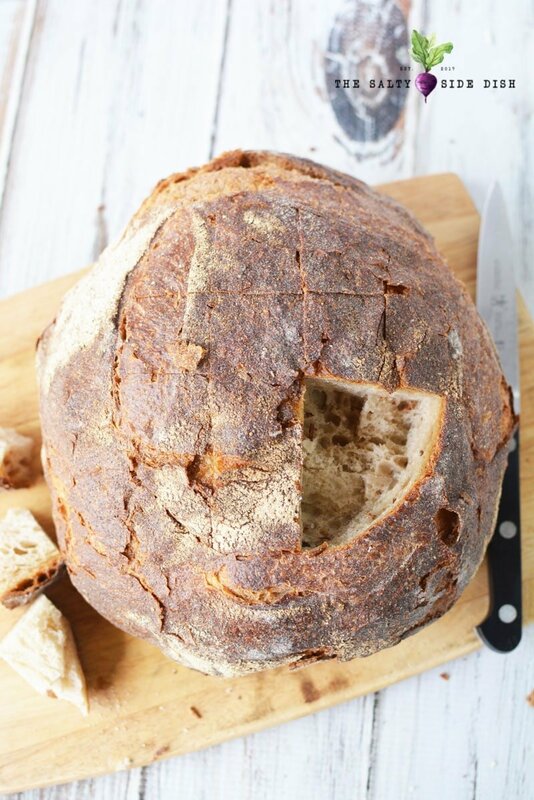 Cut around the bowl with a knife to create a circle, cutting at least 1″ into the bread. Cut 1″ cubes into the bread in a criss-cross pattern. Remove the bread with a spoon. Continue to remove a second layer of bread to create a deeper cavity. 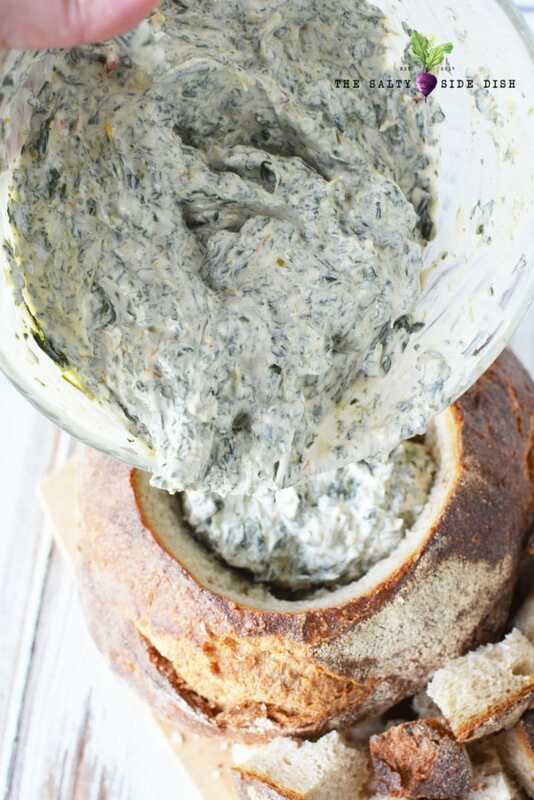 Fill the bread cavity with spinach dip and save the remaining bread for dipping. Garnish the dip with fresh parsley if desired and appearances matter. In my house they don’t….but it sure looks pretty in pictures. 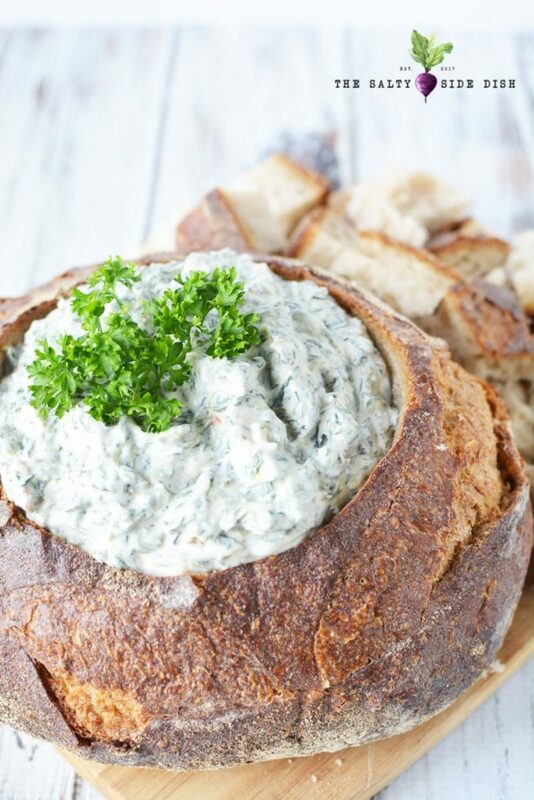 Delicious Spinach dip recipe without artichokes, so creamy with the perfect amount of spices from the Knorr vegetable dip, makes for an appetizer that cannot go wrong. 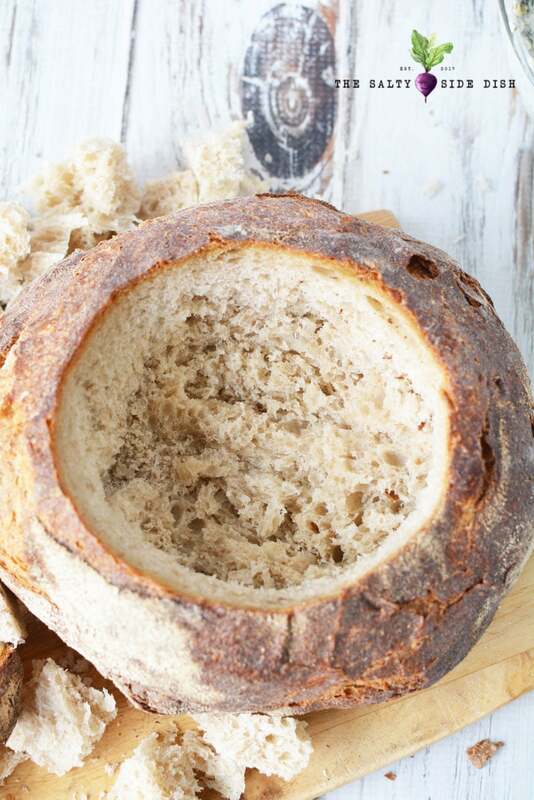 Serve up in a bread bowl for party perfection!